With fire and emergency medical service organizations across the state struggling due to a lack of volunteers and financial resources, the House and Senate Veterans Affairs and Emergency Preparedness committees held an informational meeting to discuss recommendations put forth late last year to address these challenges. According to testimony offered at the meeting, the decline of volunteers in fire and EMS services across the state is having a significant impact on municipalities’ ability to reliably and safely provide public safety services to their citizens. Much of the decline in volunteers can be attributed to societal and economic changes, such as longer working hours and longer commutes. However, lawmakers were encouraged to consider incentives such as tax credits or college loan forgiveness programs to help recruit new volunteers. Affordable and accessible training was also encouraged as a way to remove barriers to volunteering. These were among more than two dozen broad recommendations offered by the Senate Resolution 6 Commission, which was charged with studying issues such as recruitment and retention, government support, innovation, training and operations, and more. One of the report’s recommendations, which requires insurers to reimburse ambulance companies for services provided even if no transport takes place, was signed into law last year. Lawmakers plan to build on that success this year as they prepare to introduce legislation implementing some additional recommendations. View the full report here. 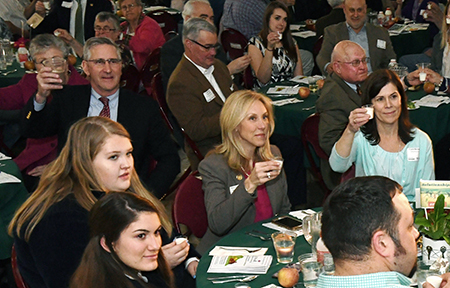 I had a wonderful time at the 33rd Annual York County Farm Bureau Banquet! It's always great to recognize the folks in our agricultural industry. In the above picture, I'm doing a milk toast with students in the Gifford Pinchot FFA. Nine of the 22 Outstanding Youth in York County for 2018 are students from the Pinchot Gifford FFA. 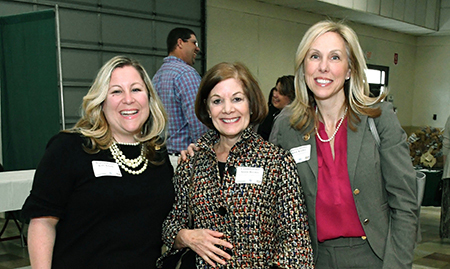 I’m with State Rep. Kate Klunk and York County President Commissioner Susan Byrnes in the below photo. Volunteers are being sought for this year’s Great American Cleanup of Pennsylvania, which runs through May 31. A comprehensive webpage which includes all volunteer opportunities available, from the Great American Cleanup of PA and Adopt-A-Highway to Safety Training, Litter Brigades and more, is available here. 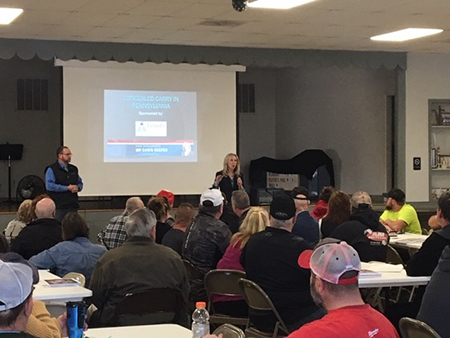 I want to thank everyone who came out to my Firearm Owner Rights and Responsibilities Seminar on Wednesday in Franklintown. I commend the residents for taking the initiative to stay up to date on our gun laws and to learn how to more safely carry their firearms. I also want to thank Matt Menges for leading this important discussion. Residents unable to attend the seminar are reminded a second seminar will be held in Fairview Township early next month. Details will be released, and registration will be open, closer to the date. To help eliminate illegal dumping of tires and educate the public about proper tire management, the York County Solid Waste Authority (YCSWA) is offering free tire disposal for residents at the York County Resource Recovery Center, 2651 Black Bridge Road. Pre-registration is required, and the program is for York County residents only. Businesses are not eligible to participate. Residents must pre-register for the program by calling the (YCSWA) at 717-845-1066 between 8 a.m. and 4 p.m., Monday through Friday, from April 8 through May 3. Tire deliveries will be scheduled to occur between April 22 and May 17. Registrants will receive a dashboard placard for a free one-time disposal of up to 10 tires. Tires must be removed from the rim, may not exceed 32 inches in diameter and may not be excessively dirty or full of water. This program is limited to one placard per household. The York County Resource Recovery Center can only accept a limited number of tires per day and deliveries will be scheduled on a first come, first served basis. 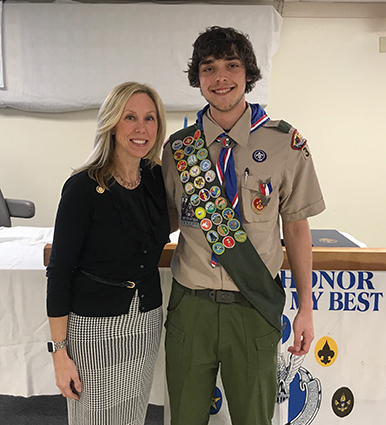 Congratulations to Marcus Toevs of Troop 333 on achieving the rank of Eagle Scout! It was a privilege to attend this Court of Honor on Saturday in Monroe Township. Way to go, Marcus!! The Monday, April 15, deadline to file your federal, state and local taxes is fast approaching. If you received more than $33 in total gross taxable income in calendar year 2018, you must file a Pennsylvania Personal Income Tax return by midnight on April 15. You can file online for free through PAdirectfile, a secure, state-only electronic income tax filing system by clicking here. If you want to use an online tax preparing service, Pennsylvania has deals with certain providers for free e-filing. You can learn more about these services by clicking here. Income tax assistance is available through the department’s Online Customer Service Center, or by calling 717-787-8201 between 7:30 a.m. and 5 p.m. Monday through Friday. Pennsylvanians can also visit a Department of Revenue district office for basic state personal income tax filing assistance. Assistance at these offices is available from 9 a.m. to 5 p.m. Monday through Friday.